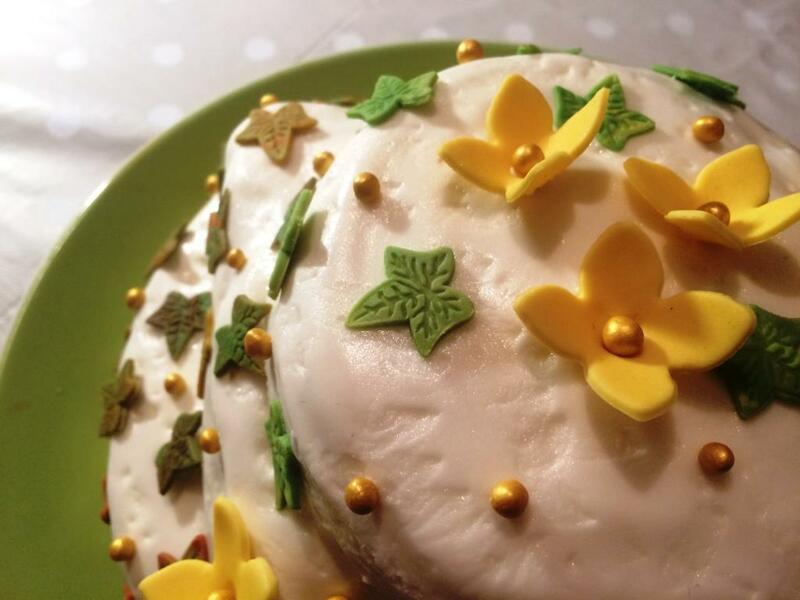 So the Great British Bake Off is over for another – Wednesday nights won’t be the same again! I was really pleased that Nadiya won though, she was my favourite going into the final and really excelled with her 3 bakes. A very worth winner and so humble too. Was anyone not crying in that final scene?? I wanted to pull out all the stops for my final bake for the Great Bloggers Bake-Off, and loved the idea of a three-tiered classic British cake. 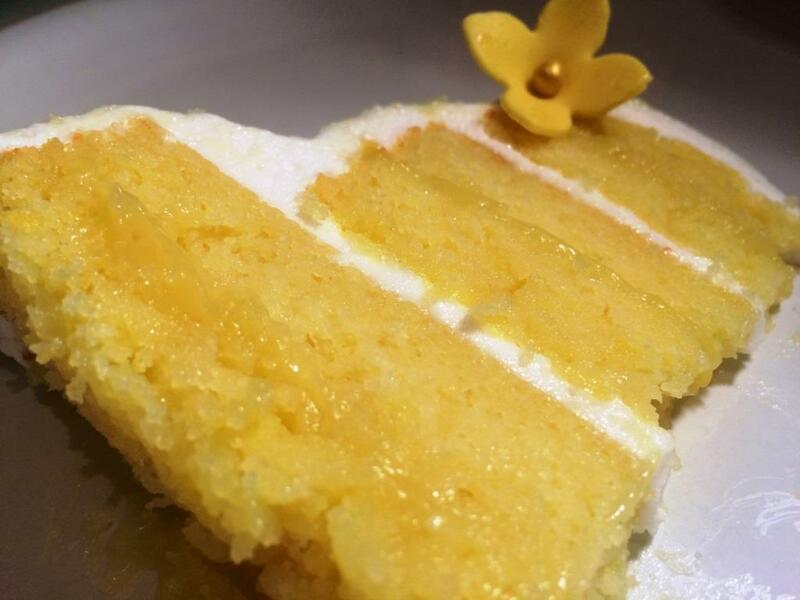 I asked Rob what he’d like and lemon drizzle was the answer – can’t say no to that! This gluten-free lemon cake really vamps up the lemon, and is deliciously easy to make and moist when done. 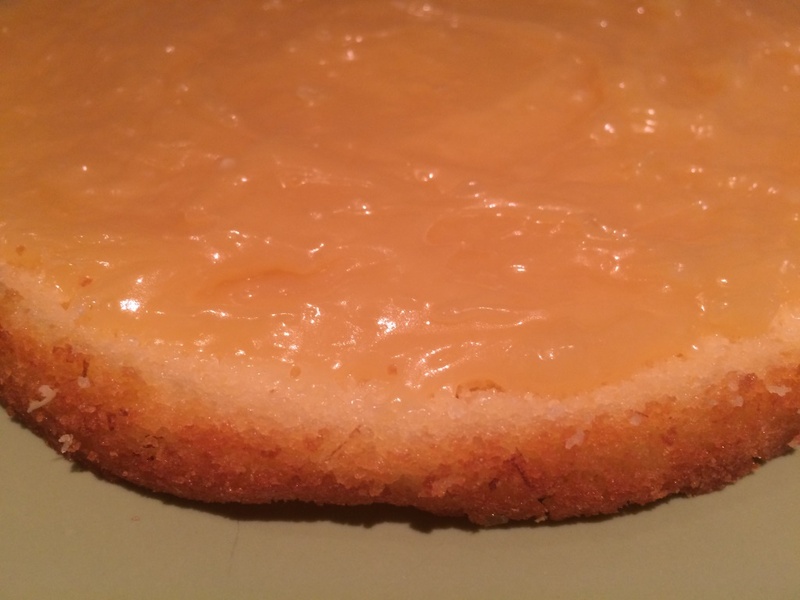 It’s very well complemented by the lemon curd filling (keep reading), but works just as well as a standalone cake, without any filling or frosting. 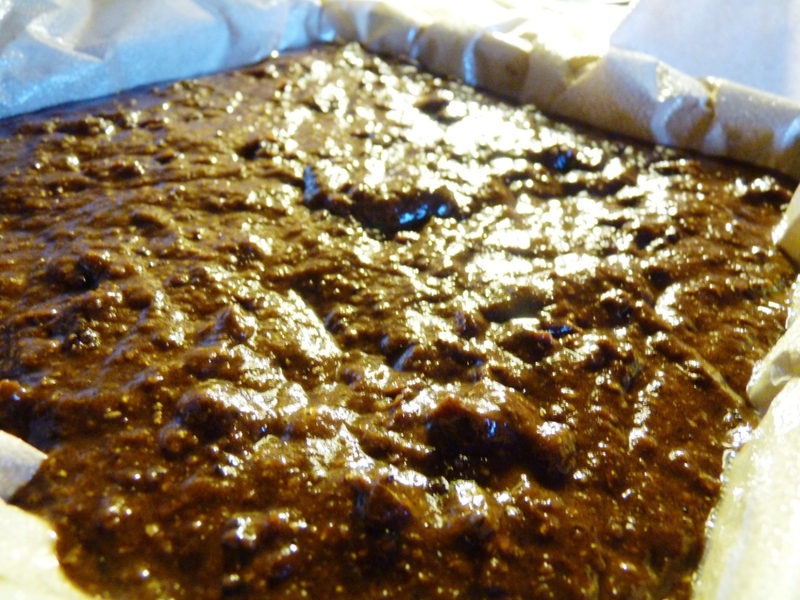 And it’s one of those great bakes where you can’t even tell it’s gluten free! 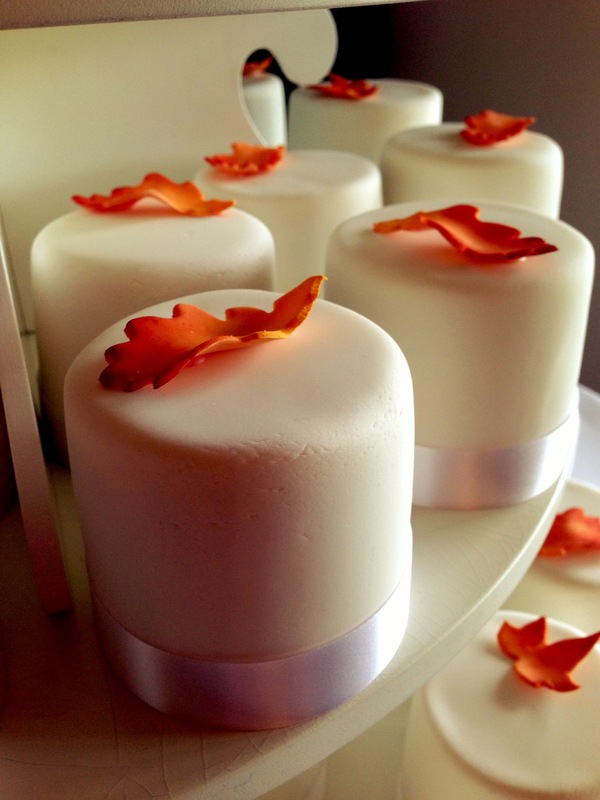 – bake at 180 degrees C until the cakes are springy to touch and starting to come away from the sides of the tine. If you’re not sure then check with an inserted skewer, which should come out clean. 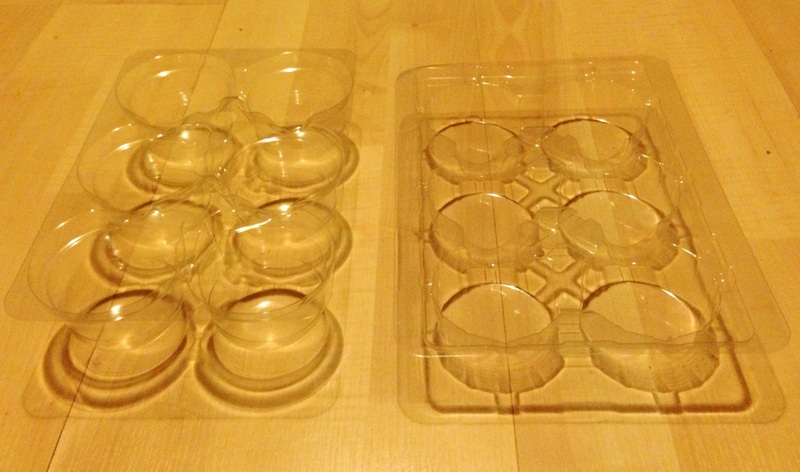 Each cake will need a different amount of time. Check first after around 20 minutes to see if the first is done, if not give another 5 minutes. The middle will take around 30-35 minutes, and the larger around 45 minutes. The time is very dependent on your oven and tin so keep an eye on them! Once you’ve taken the smaller one out, check the other two at least every 10 minutes, if not more often. 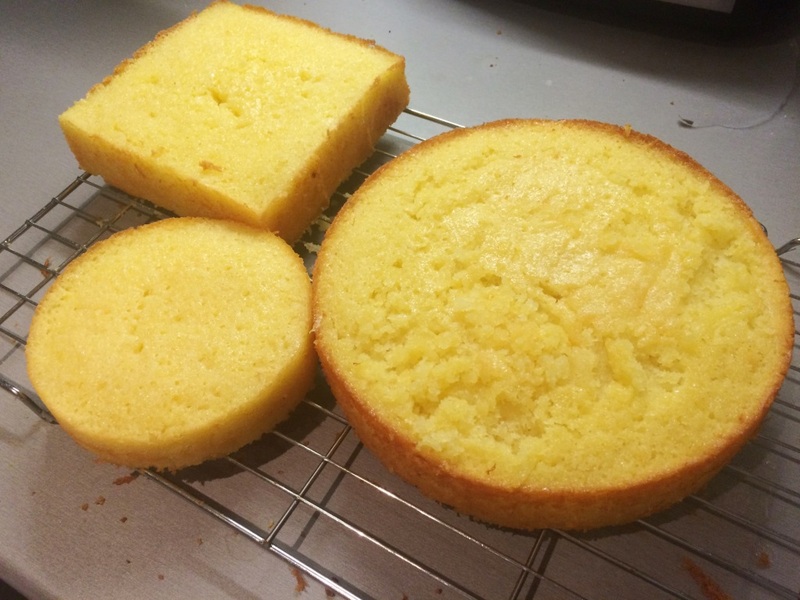 – Once each cake is removed from the oven, prick small holes all over the top with a skewer or cocktail stick, and generously spoon over the lemon drizzle. Leave to cool fully in the tin. I took a great tip from Nadiya on the show and popped the cakes in the freezer once cool, (wrapped in baking paper) for an hour or so before slicing in half and levelling the tops. 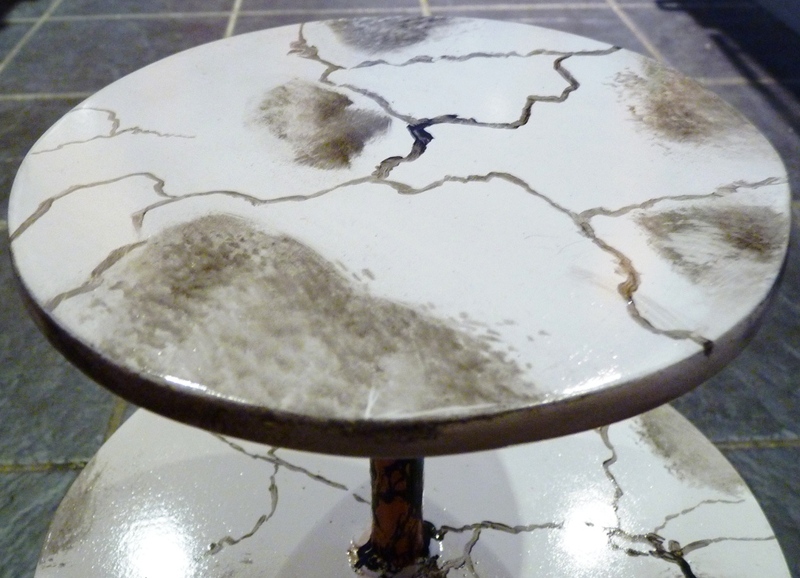 It really did make it much easier – no cracking and much less crumbs. 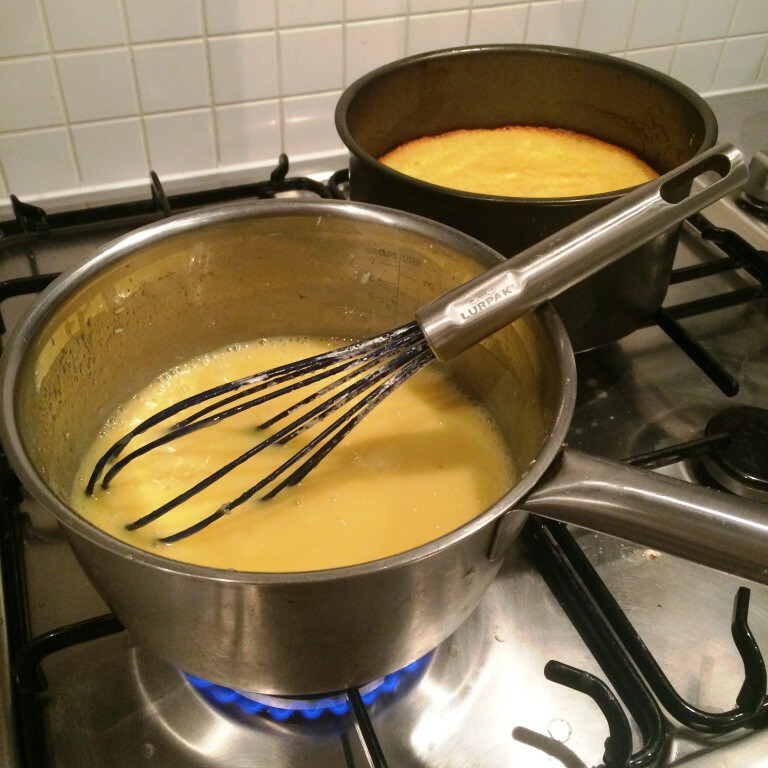 Whilst the cakes were cooling and freezing I made the lemon curd – as this did take quite some time to cool as well. I used Delia’s recipe as a starter – but halved it (3 jars of lemon curd seemed a bit excessive! ), and upped the cornflour to give a thicker set that would hold in the cakes. Maybe a bit of a blonde moment but I’d never realised that lemon curd was made mostly of eggs! I would say though that it is really easy to make and waaay better than shop-bought stuff, I’d highly recommend trying it! 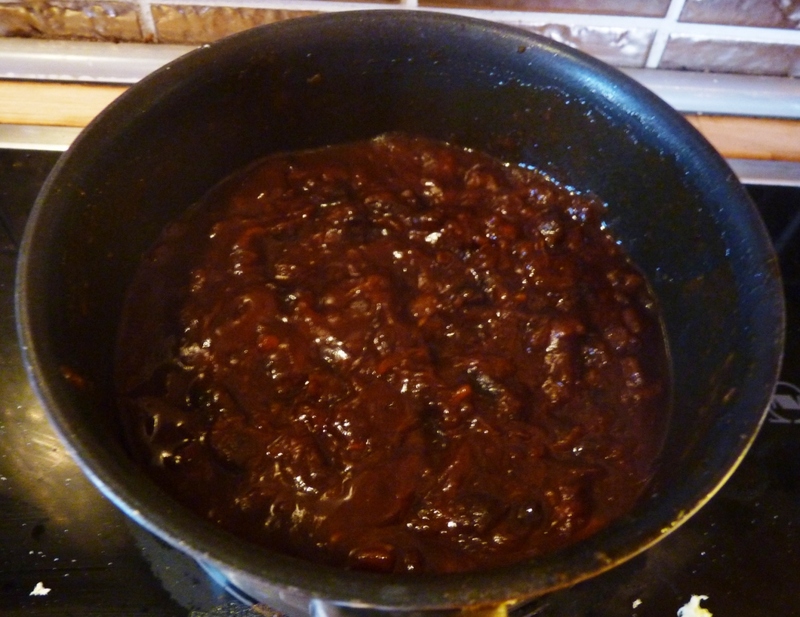 – put on a medium heat and whisk continuously for 7 – 8 minutes until it starts to thicken. At this stage cook for another minute, before transferring to a bowl to cool. It will continue to thicken as it cools as well. 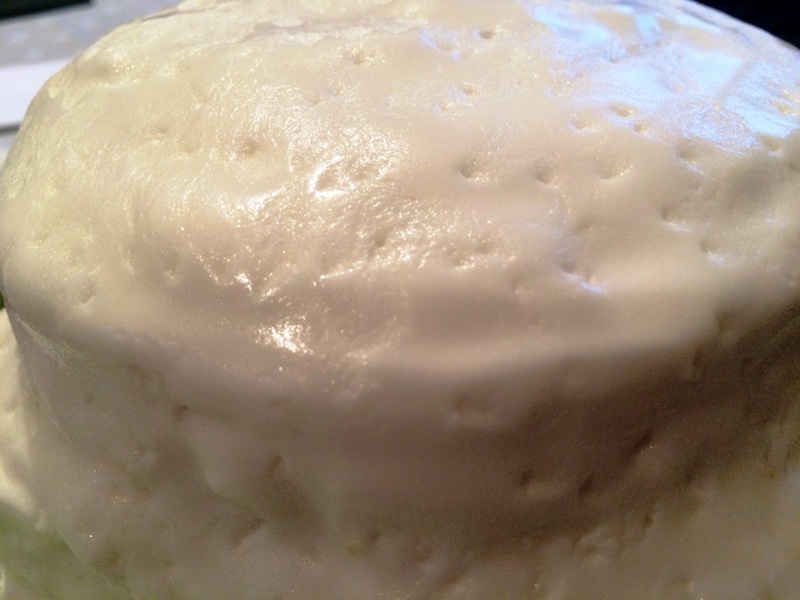 As the curd was cooling I went onto the next step. 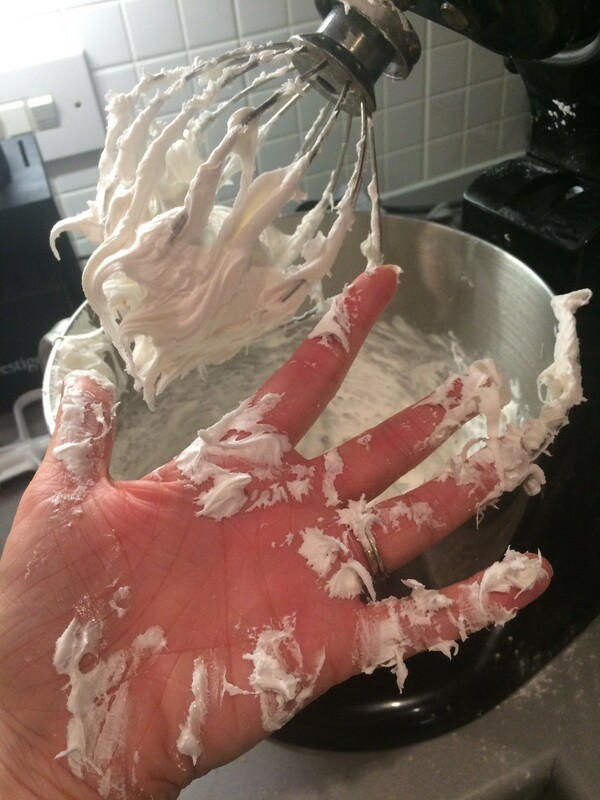 Nadiya had made marshmallow fondant look and sound so easy (“I make it all the time…!”), so I thought I’d give it a go. Well I’ll be honest. I’d like to meet Nadiya and introduce her to ready-to-roll fondant. It’ll save hours and countless amounts of kitchen cleaning! Needless to say my attempt was rather less than successful. The online methods I read in advance made it sound relatively easy, however completely failed to mention that it is the stickiest substance ever made by man. Seriously, super glue has nothing on this stuff! The other downside about marshmallow fondant is that it uses a lot of icing sugar. Add that to the sugar in the marshmallows and you’re practically bouncing off the walls with every bite! I’d put in as much sugar as the recipe recommended and it was still nowhere near a fondant consistency, I was struggling to see how this would ever roll out. Additionally I was starting to run out of time – it was nearing midnight and I wanted to get the cake assembled at least that night! So I improvised and turned it into a marshmallow frosting – with the simple addition of a little more water and lemon juice. The good thing about this frosting is that it keeps well (in a sealed container), and if it starts to harden up before you’ve used it all, it can easily be ‘melted’ back down again by popping in the microwave. Another grumble about these marshmallow icings is that I found it rather tricky to locate all-white marshmallows in the UK shops. I went to a good 5 or 6 big high street retailers / supermarkets, and was just about to give up when I found what I needed in The Range. Really though, does anyone know why they come in pink and white in the first place?! – the consistency should be thin enough to spread, but thick enough to hold its shape without dripping (hold the spoon upside down over the bowl to check). 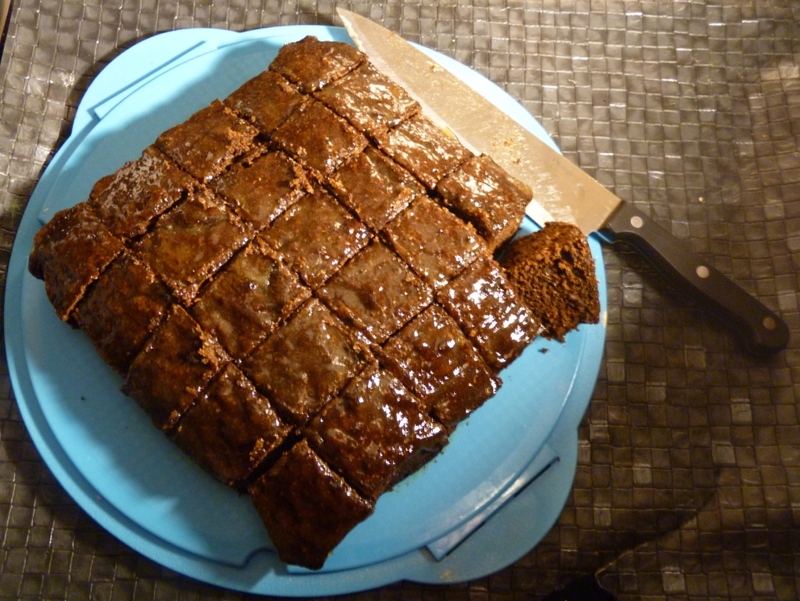 If it’s too thick, add a little more water and beat again, if it’s too thin, add a little more icing sugar. Once ready use straight away, or keep in the fridge in a sealed container until you need to use. Microwave to melt back to a spreadable consistency on removing from the fridge. With the lemon curd filling and marshmallow frosting finally ready the cakes could be assembled. I layered up with lemon curd in the centre of each tier, and marshmallow frosting between the tiers and all round the sides. After refrigerating for half an hour to set the first layer, I added a second layer of marshmallow frosting to ensure a good thick coating. As the weather in the UK has recently taken a turn for the chillier, I decided to theme the decorations with an autumnal twist. To go with this rustic look I dimpled the frosting all over to give a more weathered effect. 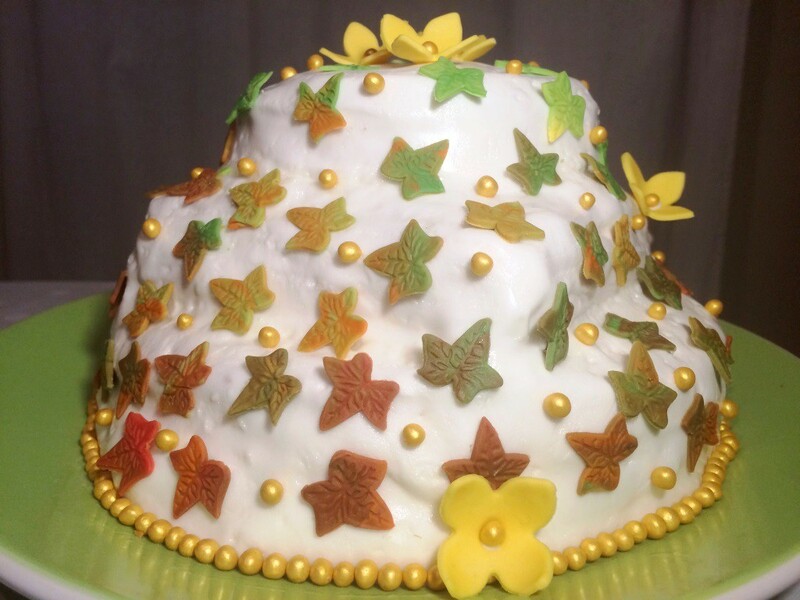 The leaf and flower decorations I made from coloured (normal) fondant – no more marshmallow icings for me! I may be blowing my own trumpet but I love how these marbled autumn leaves turned out. 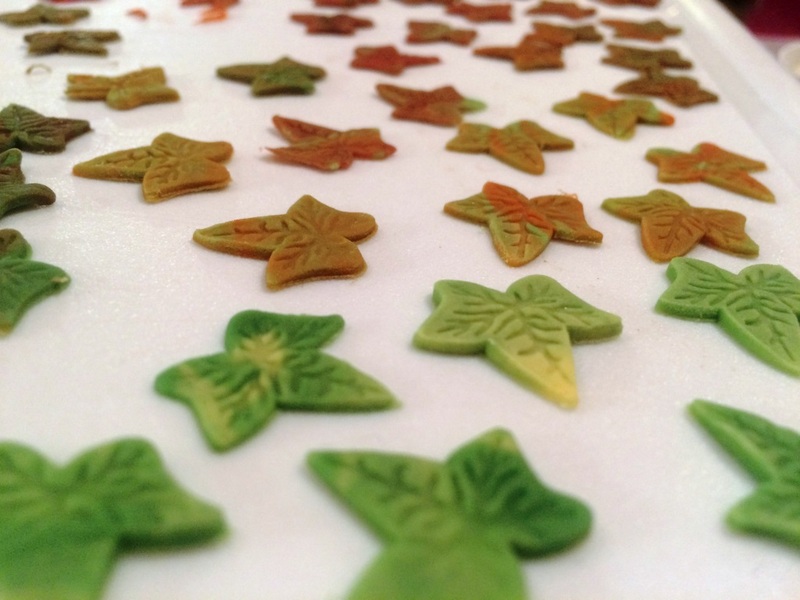 They were really simple to make too – I started with some green, yellow, orange, red and brown fondant, and mixed together in varying proportions, rolling out while they were only part combined. I used a leaf plunger cutter to get the veined and pronged leaves. The marshmallow frosting stayed quite sticky so it was easy to attach the decorations the next day. 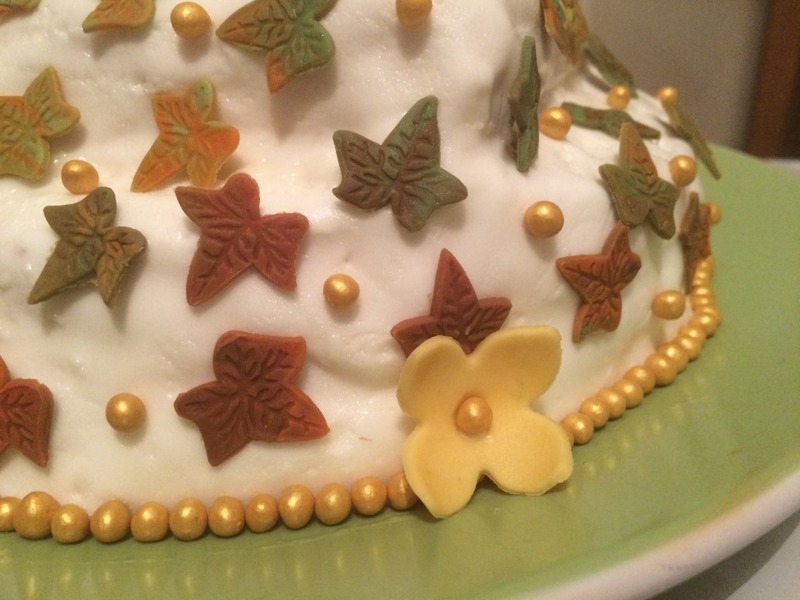 Starting with some yellow flowers (a nod to the lemony inside), I arranged the leaves in an ombre graduating colour pattern down the cake. To finish – what showstopper is complete without a little sparkle – gold soft pearls around the base, in the flower centres and amongst the leaves. Despite my various doubts (and wanting to give up!) in making this cake, I’m so pleased with how it turned out. 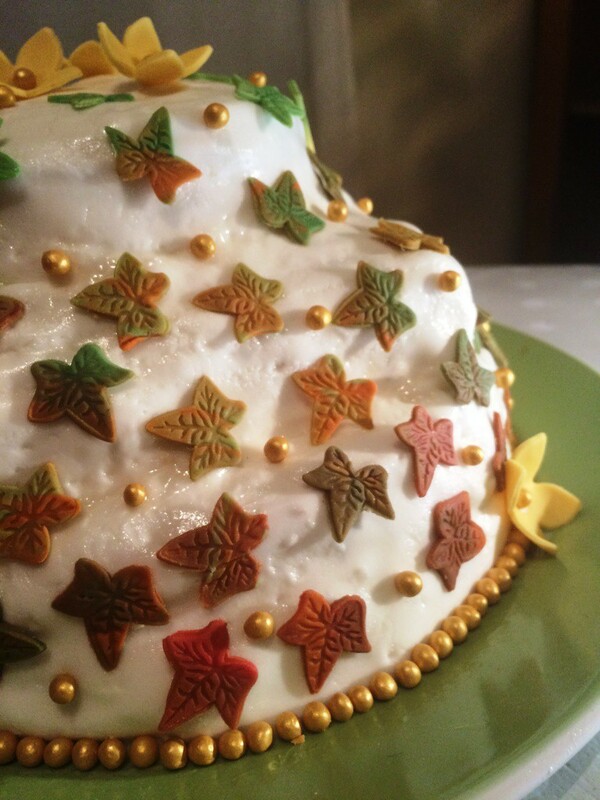 Everything came together perfectly in the end and I’ll be honest – it tasted amazing! 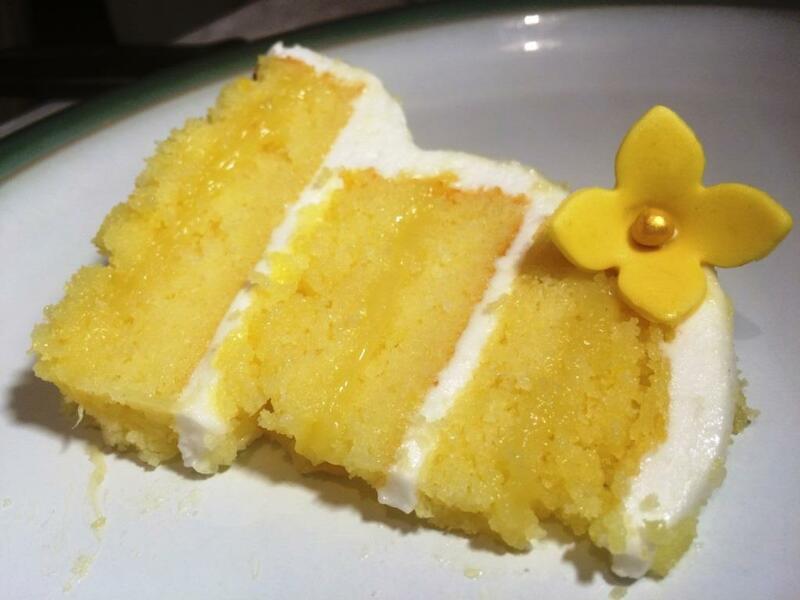 The homemade lemon curd had such a great zing, I want to put this in all my cakes going forward 🙂 I’m less enamoured with the marshmallow frosting – it really does taste just like marshmallows, which personally I’m not a fan of on a cake. 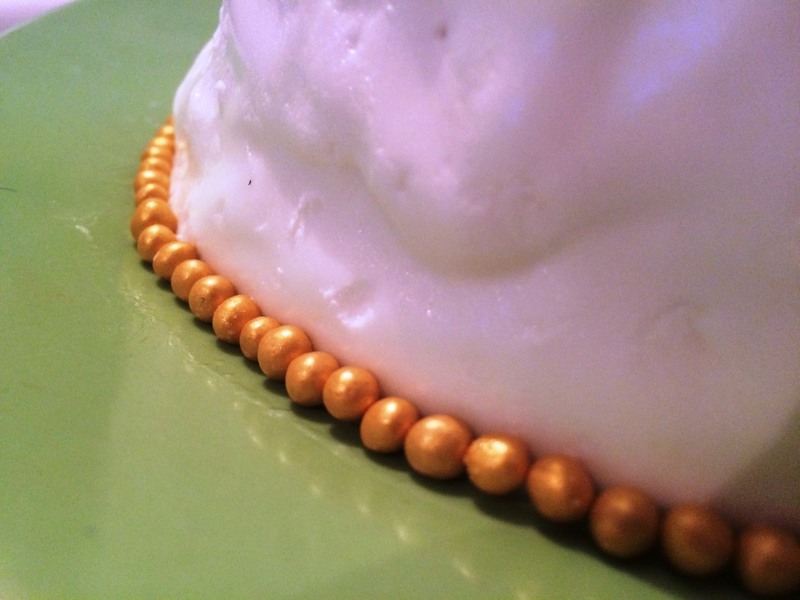 I’ll stick with buttercream and ready-to-roll fondant from now, thank-you-very-much. The inside of the cake had a perfect wow as well – not to brag but look at those layers! Although I’ve not been able to participate every week this year, I’ve really enjoyed being a part of the Great Bloggers Bake Off again. As always massive thanks to Jenny for being an amazing organiser. Please click the banner below to visit her blog and for more information on the bloggers bake-off. Regular readers may remember our visit to New Zealand last month, for my brother’s wedding in Christchurch. Blogged back from the wedding was the cake itself – and, this week, as we held a UK celebration whilst they visit on their honeymoon, I was delighted to have the chance to recreate it. Of course it’s not Autumn here as it was back in NZ – but, well, with this weather, it could be almost any season! 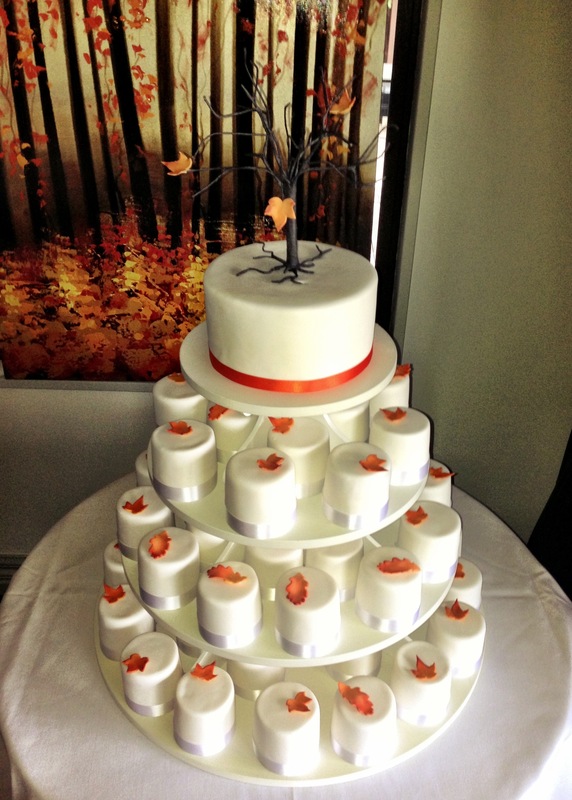 I absolutely loved the idea at the wedding to have a big cake for the couple to share, and individual cakes for each guest to either enjoy on the day, or take away and savour. As we were going to have around 50 guests at the party, and I only had a day to bake and ice everything, individual cupcakes seemed a great way forward. 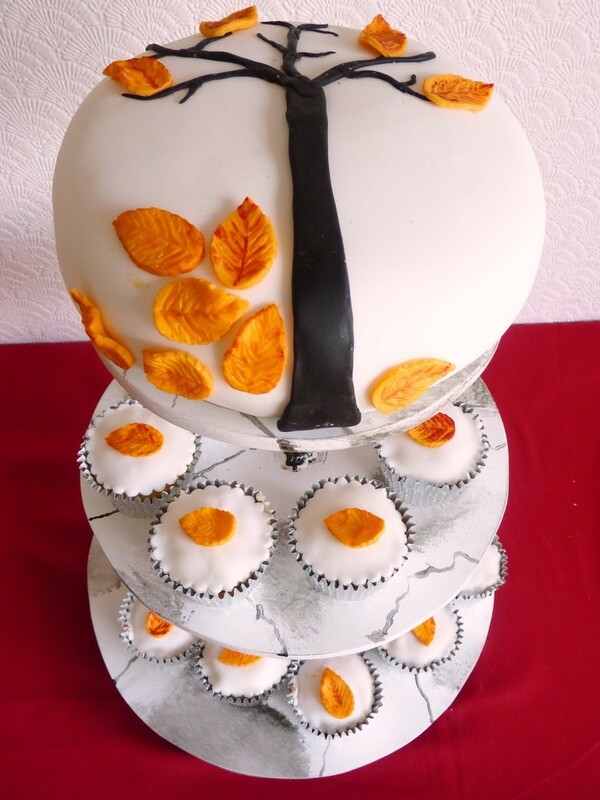 I stuck with the original lemon flavour that had been chosen for the wedding – the large cake was a lemon madeira sponge with a vanilla buttercream centre and coating, and the cupcakes were a vanilla victoria sponge with lemon filling/icing. Baking done remarkably quickly, I set on the task of coring, filling, and icing 50 cupcakes. No mean feat! I wasn’t watching the clock but reckon it must have taken me a good couple of hours. 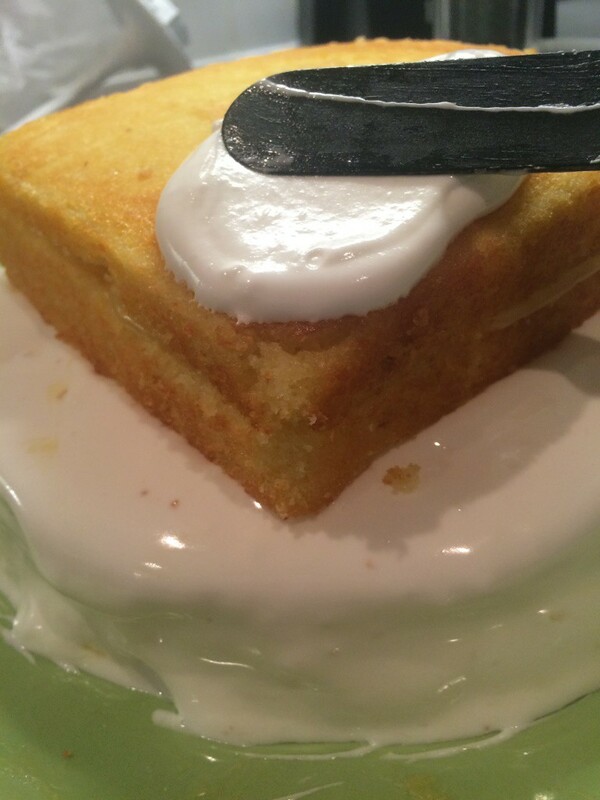 Step by step: coring (with a sharp knife); filling with buttercream and trimming the core to create a thin lid; a top layer of buttercream and a white scalloped fondant finish. 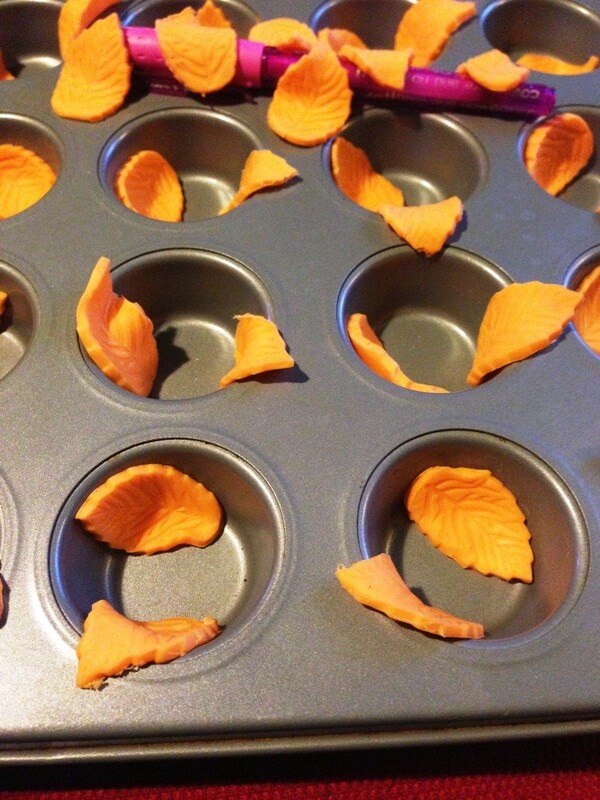 I used leaf cutter/plungers to create to toppings, colouring the fondant orange first, and adding a little tylose powder so they would set firm. 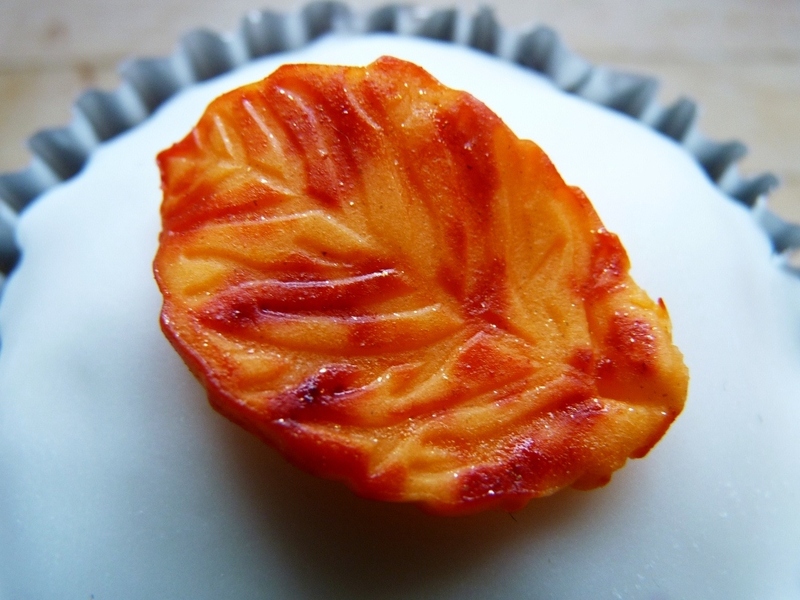 To get the crinkled autumn leaf shape, I placed them on various curved surfaces to set – around a pen, and in the corners of a mini cupcake tin. Before adding to the cupcakes, I coloured the edges with a little gel food colour, and finished with a sprinkle of gold edible glitter. Then with a little dab of edible glue they simply stuck to the centre of the cupcakes. 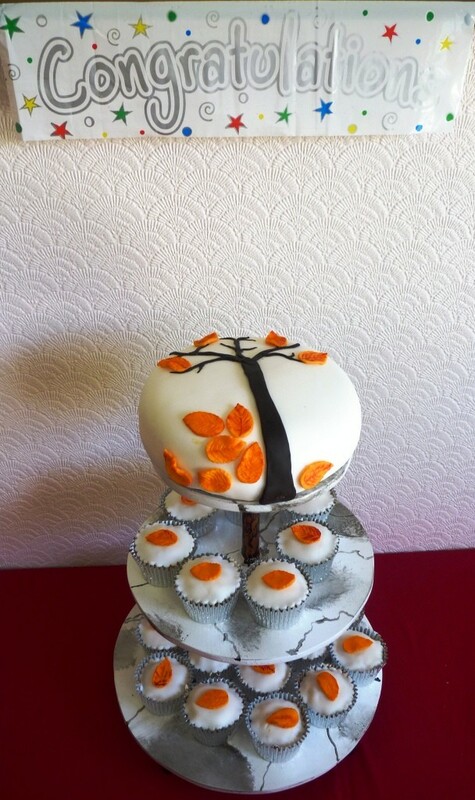 For the main wedding cake, I covered in white fondant and formed a tree out of black fondant. 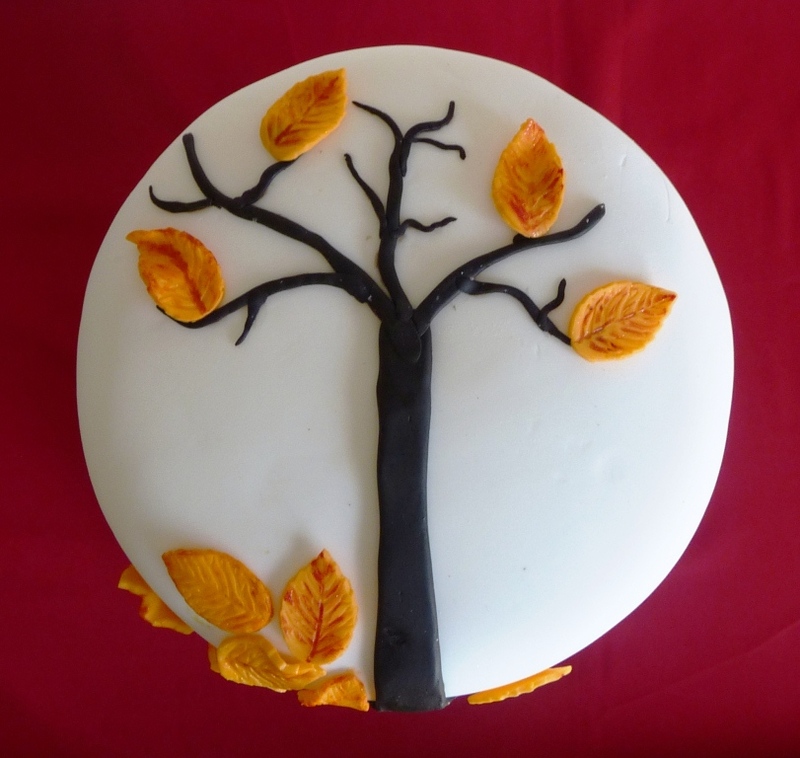 By rolling the black icing into thin strips, I slowly built up the tree outline adding smaller and smaller branches as I went on. A few carefully placed leaves around the tree, and some having fallen to the ground, I was really pleased with the look of what was actually a very simple design to construct. Such a special cake couldn’t sit (or fit!) 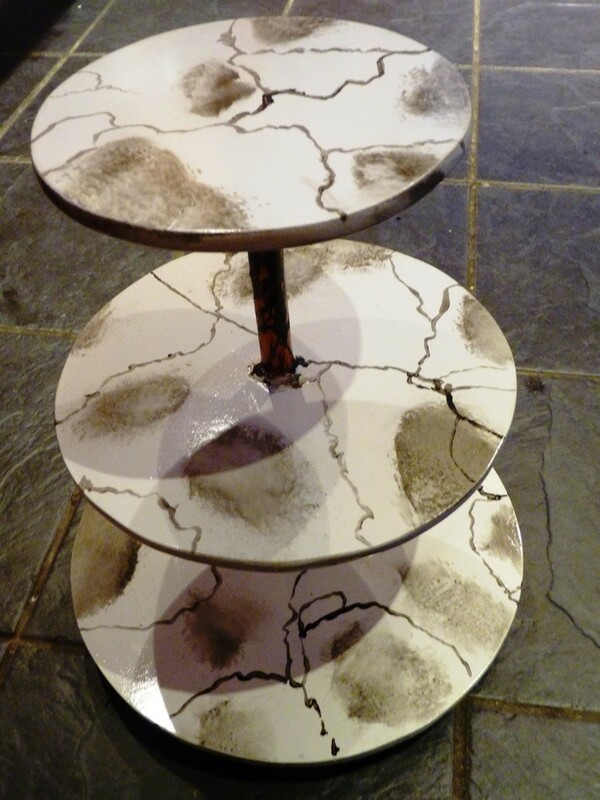 on an ordinary cake stand; Rob kindly offered (or was ordered, I forget which…) to custom build me a three tier stand for the wedding party centrepiece. He used the cake tin I used for the main cake to measure the top tier, then added a couple of inches to each of the lower ones to get the increasing sizes. I feel like this is our homage to Cupcake Wars where they show all of 30 seconds of their amazing carpenters constructing these fabulous carts, tables, stands and anything else thrown their way. And if Rob says he didn’t enjoy making it – well, I beg to differ. It gave him great oppourtunity to practice his paint effects; white marble for the top of the tiers, and bronze paint with crackle glaze for the copper piping centre. Believe it or not, the stand was constructed entirely out of wood! 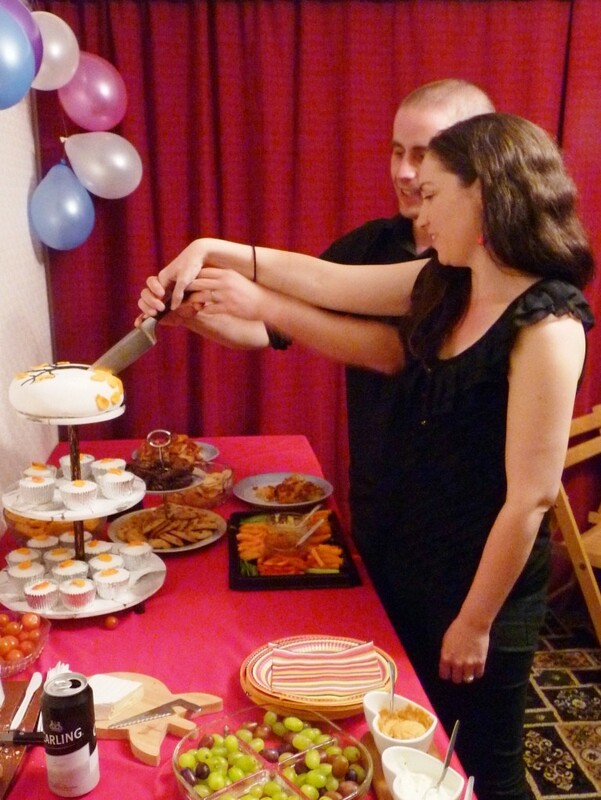 And as the party continued on into the evening, the newlyweds cut the main cake, which was equally as yummy. 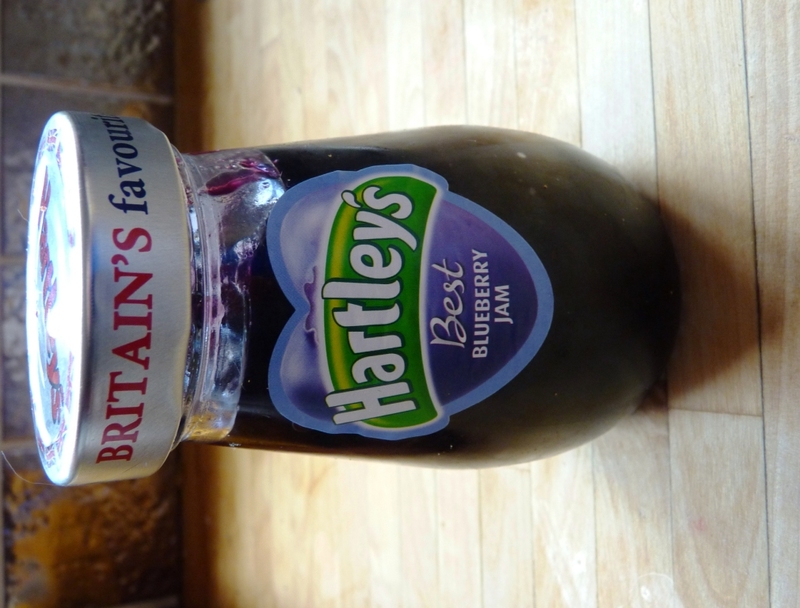 An afternoons cleaning and I was quickly bored… having had some toast for lunch I discovered this jam was just too good to waste in Rob’s sandwiches! 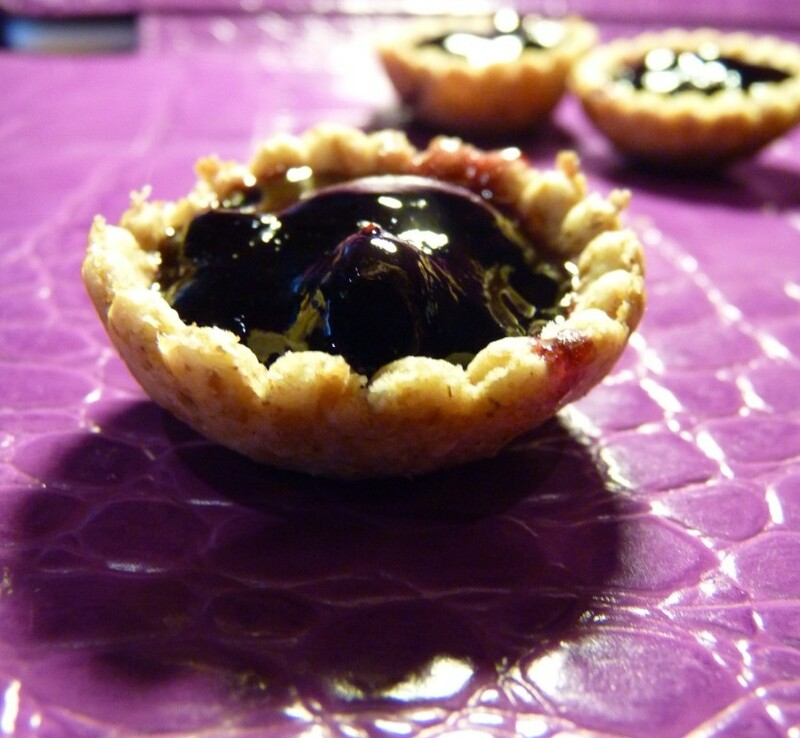 So, inspired by A simple pot of jam – here are my deliciously simple tiny tarts. 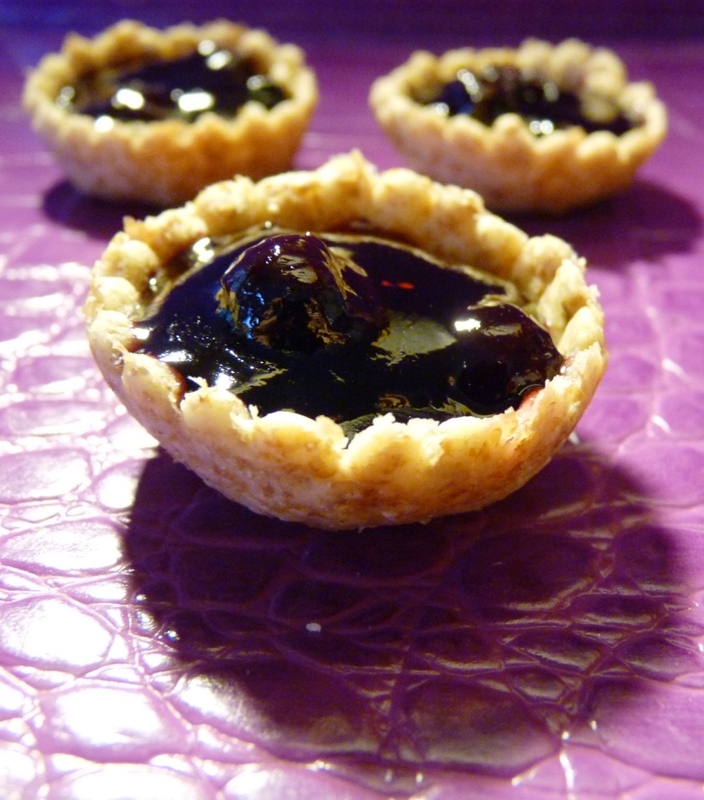 As mentioned, you can’t add too much jam before baking as it will just spill everywhere. 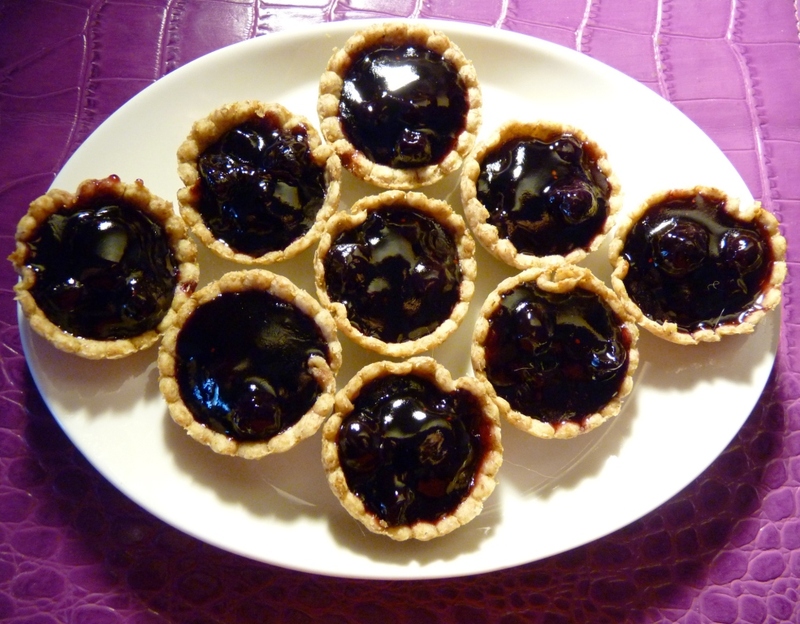 However – it’s really easy to fill them up so the tarts are literally jam-packed! Put a couple more spoonfuls jam in a mug or bowl, and microwave for 20-30 seconds, until it is bubbling and very liquid. Very carefully (it will be boiling hot!) 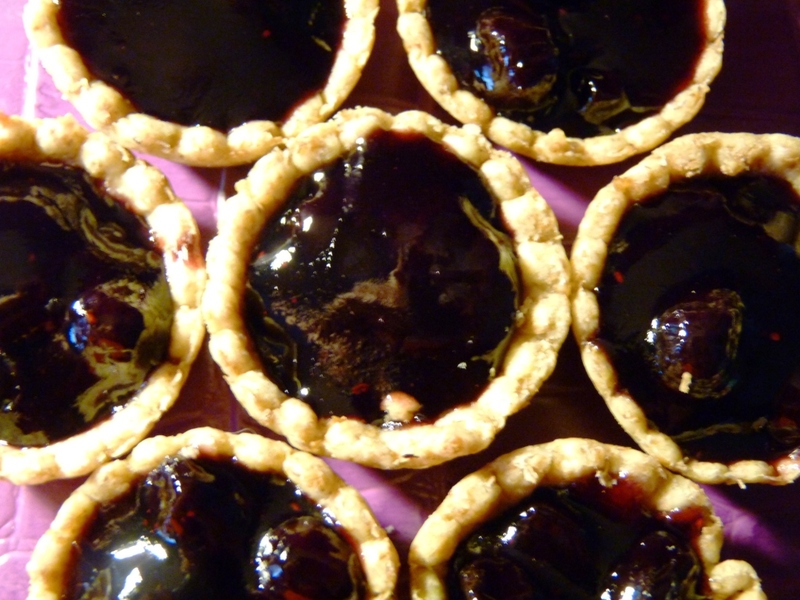 use a tea-spoon to fill the pastry cases right to the top with jam. A perfect little afternoon treat – the only problem with being so mini and bite-size – it makes it just too easy to keep eating them! This is probably my ultimate autumn cake – everything that reminds me of being wrapped up warmly, crisp cool air, crunchy leaves and bright blue skies. 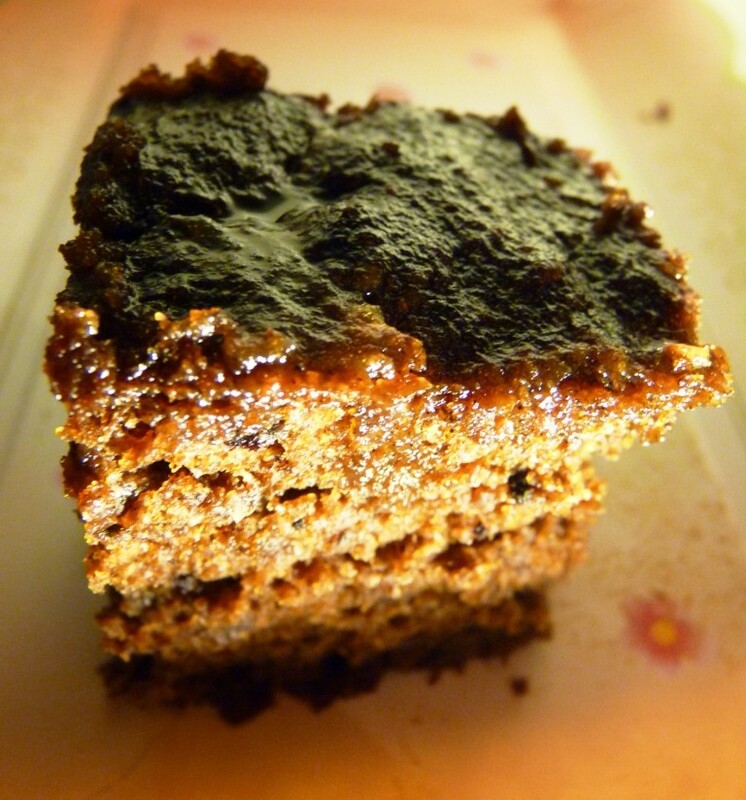 I had my heart set on using dates, treacle and ginger (let’s not mention the crystallised ginger I forgot to put in…), but actually couldn’t find a recipe then encompassed all 3 how I wanted. 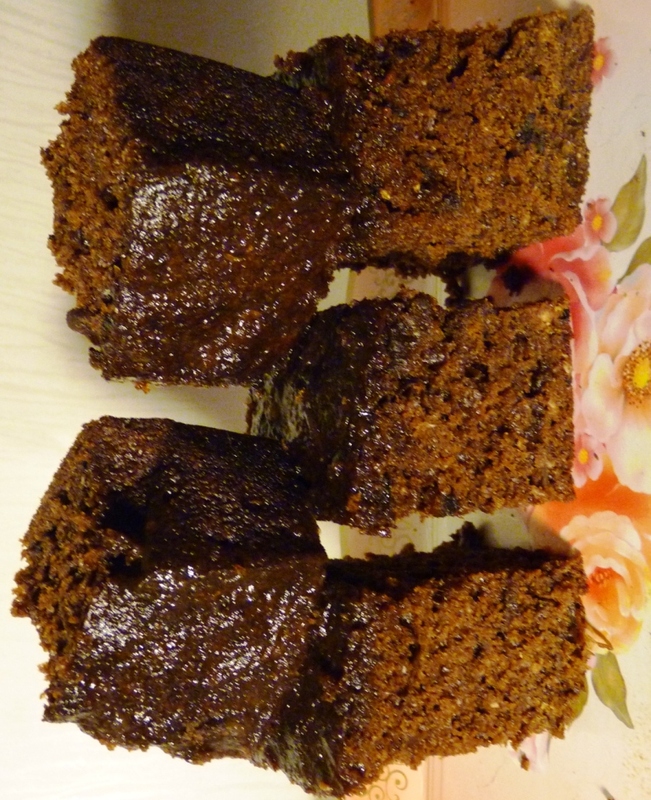 So – loosely based on Caledonian Cakery’s Date and Treacle cake – here is my own created recipe. 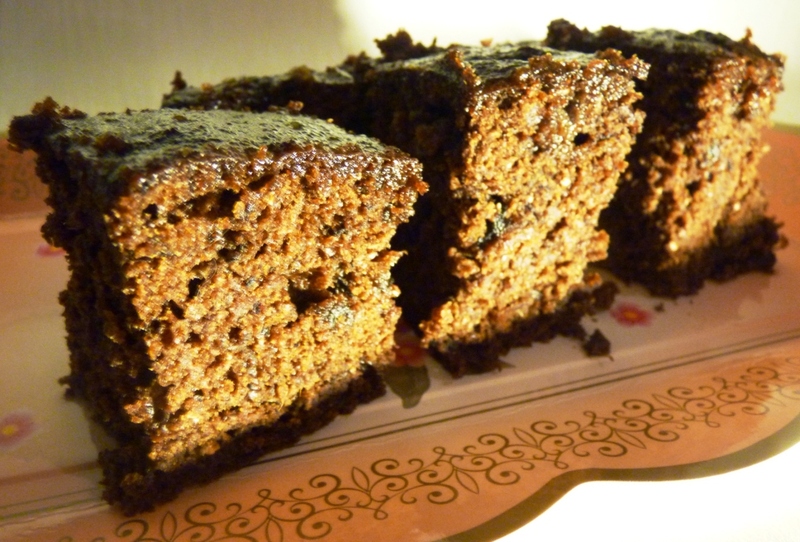 Best of all, because dates make the majority of the mix – it’s low fat too! – transfer the mixture to a large mixing bowl (the biggest one you’ve got – things are about to get fizzy!) Add the bicarbonate of soda and mix really well. 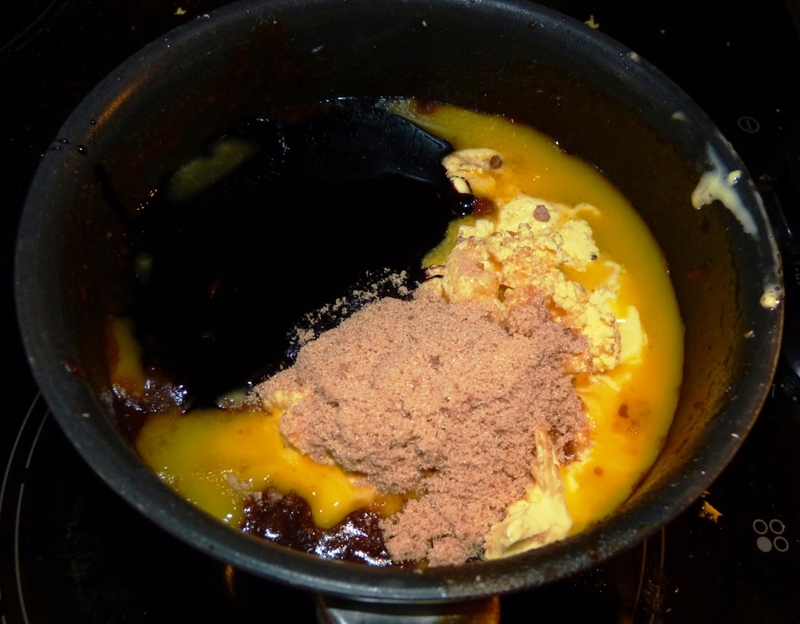 This will cause the mixture to fizz up but don’t worry – keep stirring and it will soon stop. 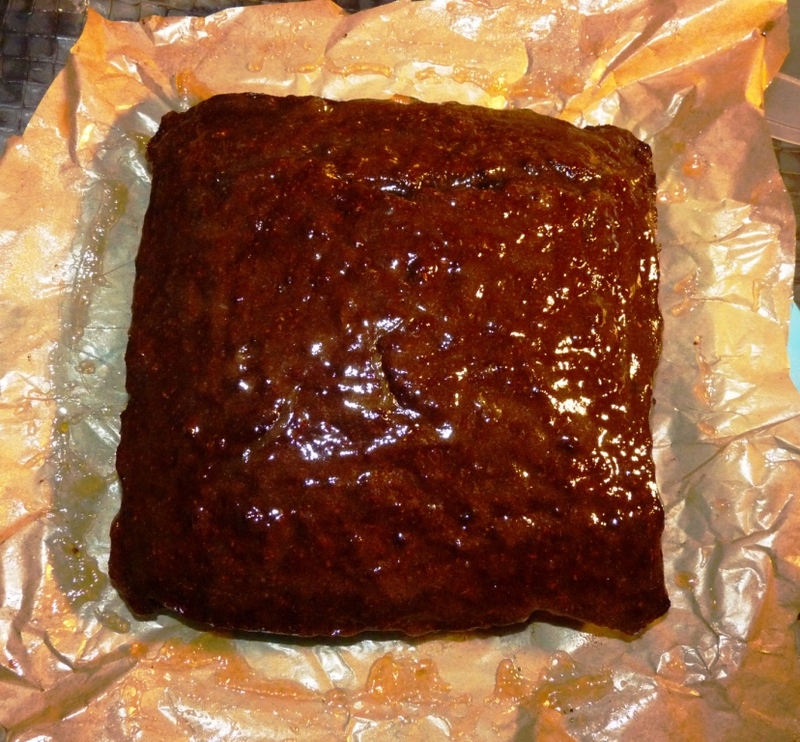 – bake at 180 degrees C for 25 – 30 minutes. Test to see if it’s done by inserting a skewer / cocktail stick or similar, diagonally into the middle. If it comes out completely clean the cake is done. If not, give it another 5 minutes, and re-test, repeating until your tester is free of cake mix. The cake should also be firm and springy i.e. 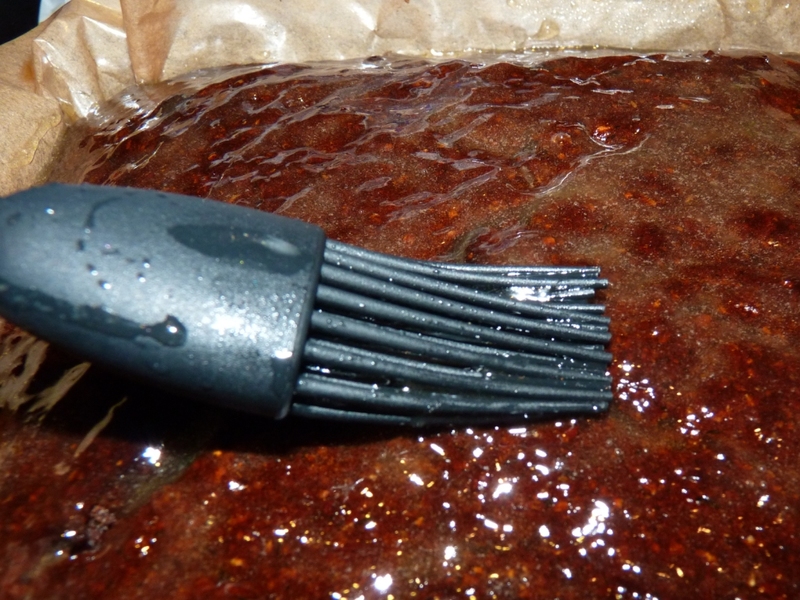 bounce straight back into shape when pressed, your finger shouldn’t leave an indent in the cake. 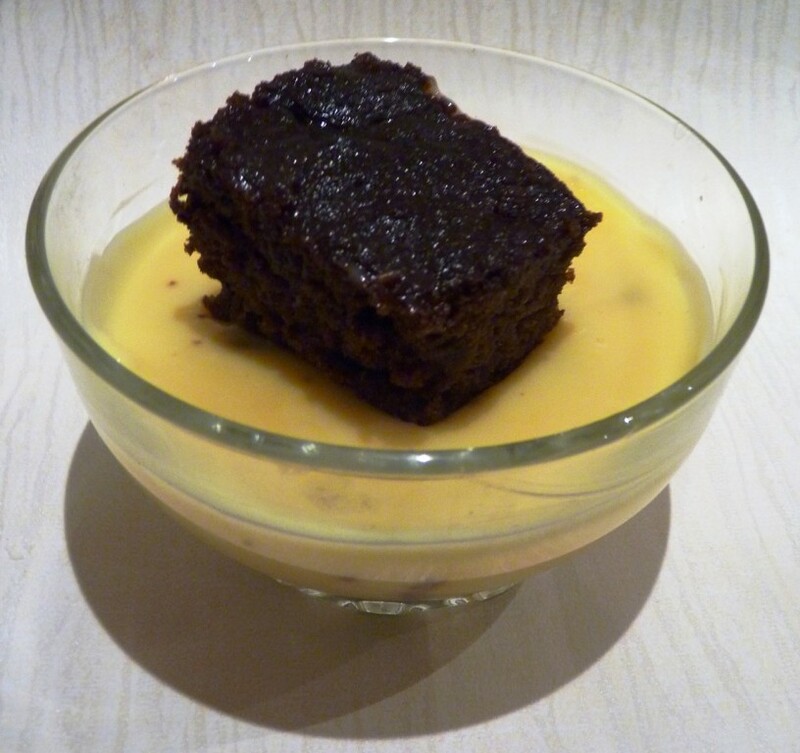 And while amazing eaten on its own – or, on a cold autumn evening, also brilliant with hot, creamy custard. Just because they haven’t featured for a while – here are the cats (no longer kittens, sob!) 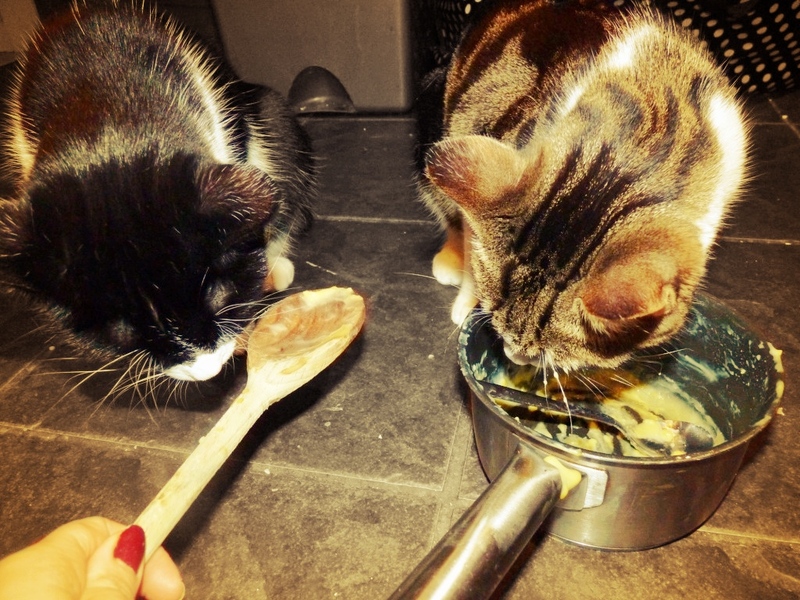 Chilli and Pepper, enjoying the leftover custard. 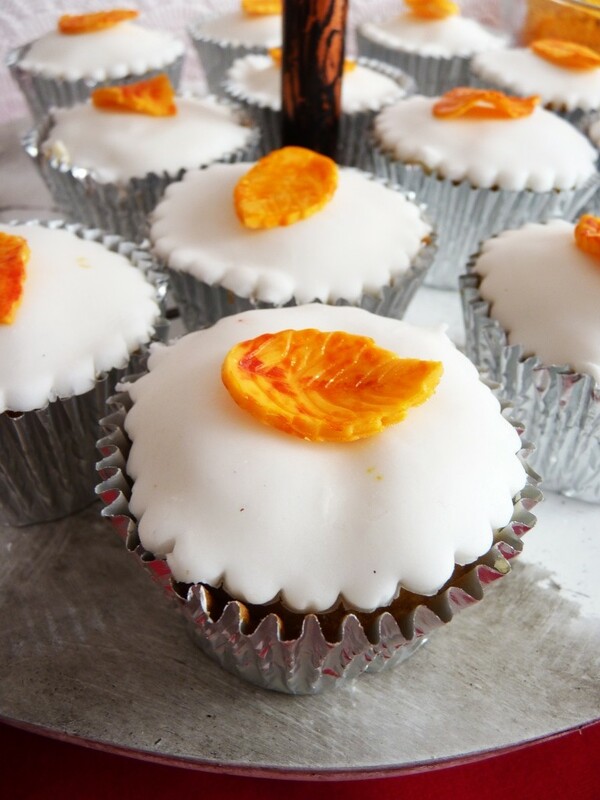 My second bake for National Cupcake Week – well, it does only come round once year! You can view my first batch of cupcakes here. Inspired by a big piece of root ginger that’s been in the kitchen for sometime, I wanted to make something tasty but beautiful! The cupcakes were a basic sponge mix with a few additions for flavour and texture. 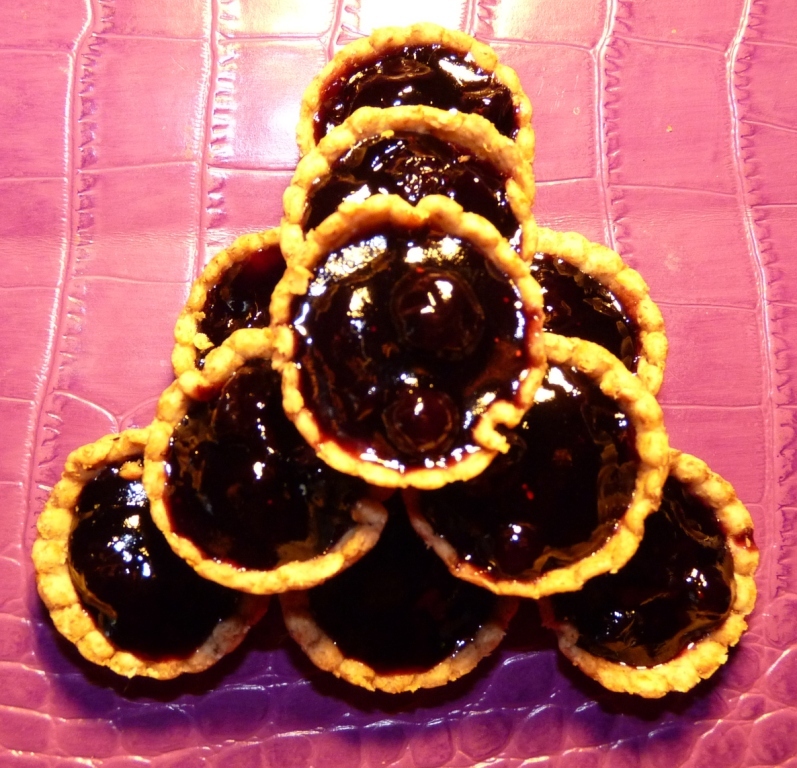 I wanted the ginger to really a have a kick and contrast against the sweetness of the icing, so it was added in three ways – root ginger, ground ginger, and the jam filling. The jam I already had in the fridge from my continual quest to find the perfect rhubarb jam (I’m certain I will end up making some before too long). This wasn’t what I was looking for in the rhubarb sense – the taste of ginger is so overpowering that it really is just ginger jam. Still, perfect for these cakes! It was simply spooned into the centre of the cakes, and smoothed down slightly to give a flat base for the buttercream to sit on. To make the buttercream, simply beat all the ingredients until smooth. Try and keep it as cold as possible if you’re going to pipe swirls, or they will melt into a chocolate-y mess! I chose to pipe a thick, ridged swirl, using a wide star nozzle. Before the buttercream set I quickly added the hearts and sugar sprinkles – the orange colours giving a clue to the firey ginger kick contained in the cupcake. Finally, I finished the cupcakes with a generous spray of golden shimmer spray (mine is Dr Oetker, you can buy it easily in the supermarkets). 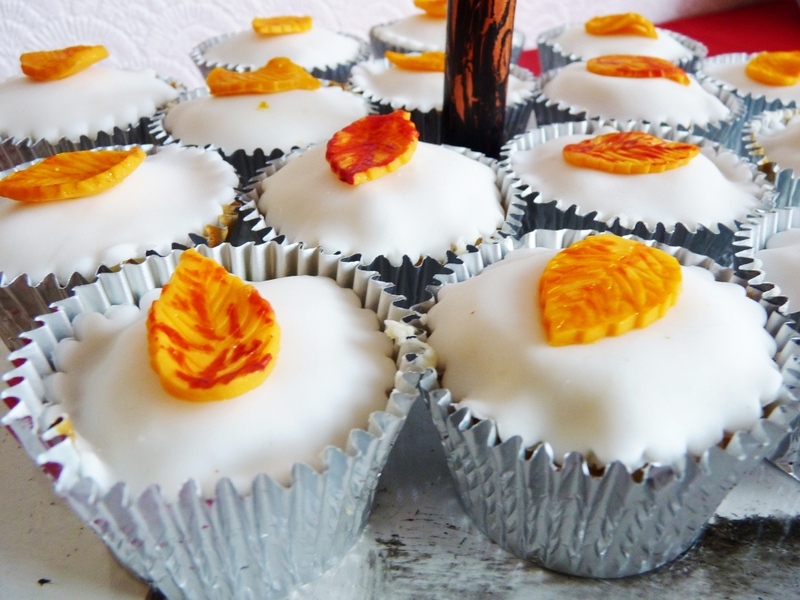 Quite simply they were yummy – and very seasonal with the ginger flavour and autumn colours on the topping. 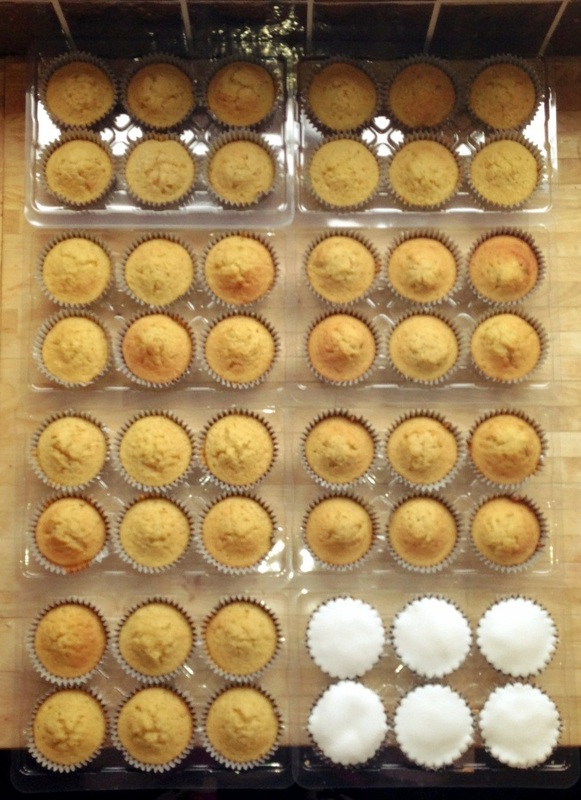 They went down a treat at home and at work – another good deed in the Cupcake Week one-a-day!